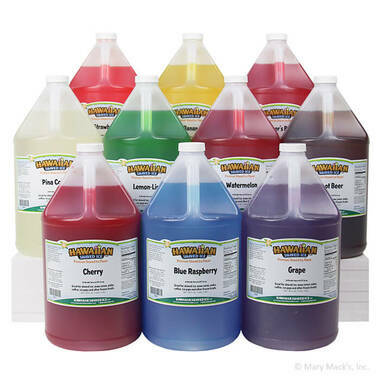 If you are a shaved ice enthusiast, save yourself some time and money by purchasing this terrific package of our top 10 best-selling snow cone/shaved ice flavored syrups. 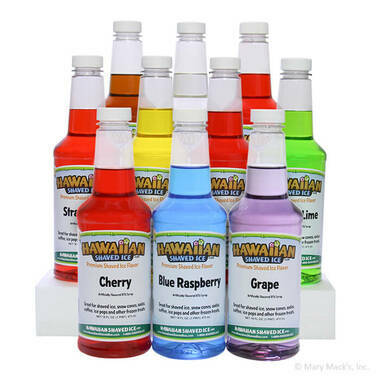 At Hawaiian Shaved Ice the top 10 includes - Cherry, Blue Raspberry, Grape, Tiger's Blood, Strawberry, Watermelon, Pi�a Colada, Lemon-Lime, Banana and Root Beer. 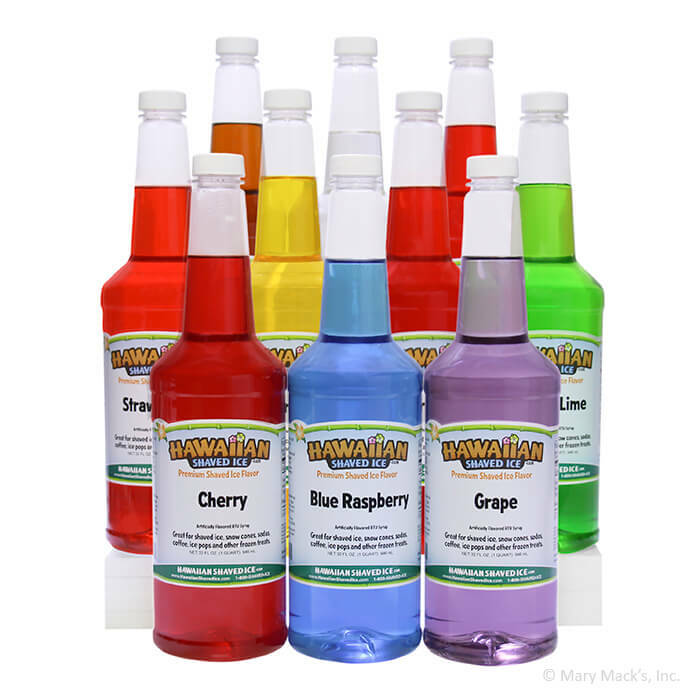 This array of popular flavors will undoubtedly delight each and every one of your friends, customers or party guests, from the tiny tots to the grown-ups. 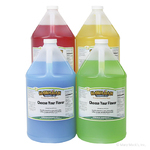 There�s no need to worry about individual flavored shaved ice syrups arriving on time when you order a convenient, ready-to-use syrup package. 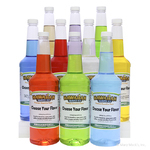 In addition, these syrups can be purchased in pint, quart, or gallon size containers, ensuring that you have just what you need. You wouldn�t think that indulging in chilly and refreshing snow cones and shaved ice all year long could be any easier or more fun. All you need is a top ten shaved ice and snow cone flavor pack!